Nokia is a company and brand that has been synonymous with the mobile industry pretty much since its inception. A decade ago Nokia was so dominant as a handset vendor the Informer wondered why anyone else even bothered, with Motorola and BlackBerry among the few that were able to coexist with the unstoppable Finnish juggernaut (and look at them now). The parties were legendary. Nokia had so much money it almost seemed embarrassed and would seek to assuage its guilt by spending obscene amounts of it on trips, events and goodies for its partners and fortunate mobile hacks. So vast was Nokia’s pile of lucre that no amount of biblical opulence could make so much as a dent in it, and even the apparent need to be within five seconds walk of a sauna at all times was deemed a necessary business expense. Around this time a maker of boutique PCs for the achingly self-conscious decided to get into the phone game. Apple had dabbled with handheld computing back in the 90s with the Newton, creating ARM, coining the term ‘PDA’, and inventing the job title Acronym Research Special Executive in the process. That didn’t go so well, but it did also eventually spawn the iPod, which did. Still, an iPod was essentially a hard drive with a headphone jack and My First OS installed on it, pretty far from futuristic kit like the Nokia Communicator that, like a Transformer robot, converted from a phone into a mini laptop with a flick of the wrist. What did Apple know about modems and operators? Nothing – this was just another Newton that would yield no more than a fresh set of smug acronyms. It turns out Apple didn’t need to know anything about phones, because it knew about multitouch, gesture-driven UIs, developers and style. Symbian’s main competitor as a smartphone OS at the time was Windows Mobile, which made no concession to the handheld format other than to provide a pokey little stylus. Suddenly, with the arrival of iOS, people wouldn’t have cared if the Communicator actually did transform into a robot, because now they had apps, and that changed everything. Still Nokia scoffed; what did they care if a few brainwashed fanboys wanted to pay over the odds for a shiny thing just because it had a fruit-based logo on it. Once they realise how rubbish the iPhone is for doing actual phone things they’ll come scurrying back into the forgiving arms of QWERTY keyboards, clamshell form-factors and that maddening ringtone. Fast forward a few years to Nokia World 2010 and the excrement was hitting the ventilator. The world had gone iPhone mad and Nokia’s smartphone sales were heading south. There was a cull at the top of Nokia and, with departing Nokia executives raging against the dying of the Symbian light, the first non-Finn in its history – Microsoft’s Stephen Elop – was appointed to sort the smartphone situation out. Elop had a cunning plan, you see. While his former rival for the top job – Anssi Vanjoki – was focused on developing questionable metaphors involving people wetting themselves, Stephen had been chatting to his old boss and decided Nokia would become the champion of Microsoft’s new, stylus-less, mobile OS: Windows Phone. What could possibly go wrong? Quite a lot, it turned out. In three years Elop presided over the decline of one of the world’s great technology companies so profound that his old company was able to buy Nokia with the loose change it found down the back of the sofa. Not content with that, Elop also oversaw the belated development of a Nokia Android phone, presumably just to annoy Vanjoki. The indignities continued to come thick and fast for Nokia until Microsoft finally sealed the deal in April of this year, and the killing blow was delivered this week, with the announcement that Microsoft is going to shed 18,000 jobs, including 12,500 from the Nokia bit of the company. There was much talk of strategy and synergies from Microsoft CEO Satya Nadella. But the final strike was reserved for Elop. In an email so good he just had to share it with the world, Elop had the gall to open by talking about Microsoft’s desire to help people “do more”, by which the Informer must assume he meant watch more daytime TV, before warning of changes to come. 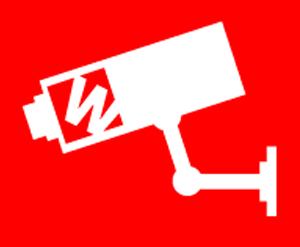 “We expect these changes to have an impact to our team structure,” said Elop with masterful understatement, before resorting to wonderful Orwellian phrases such as “ramp-down” (close), “right-size” (shrink), and “difficult decisions” (shut the door on your way out). In other news the conclusion of the World Cup marked new record peaks in the volume of press releases announcing record peaks in mobile phone use during the final. Actually, much like the final itself, the numbers were a bit of an anti-climax. Citrix said “During the World Cup Final on July 13th there was no massive spike in mobile data volume worldwide,” before recovering its mojo somewhat by revealing there was a big spike in video streaming. 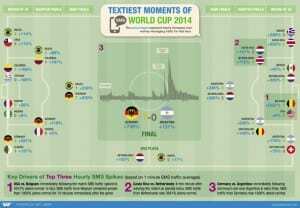 EE, which made an art form out of exploiting the world cup for publicity, revealed the number one world cup game in terms of traffic on the EE network didn’t even involve England. Rather, in a last spasm of masochism, it seems that we streamed, tweeted and surfed the most during the Costa Rica vs Italy game, when England’s faint hopes of limping into the next round were finally extinguished. 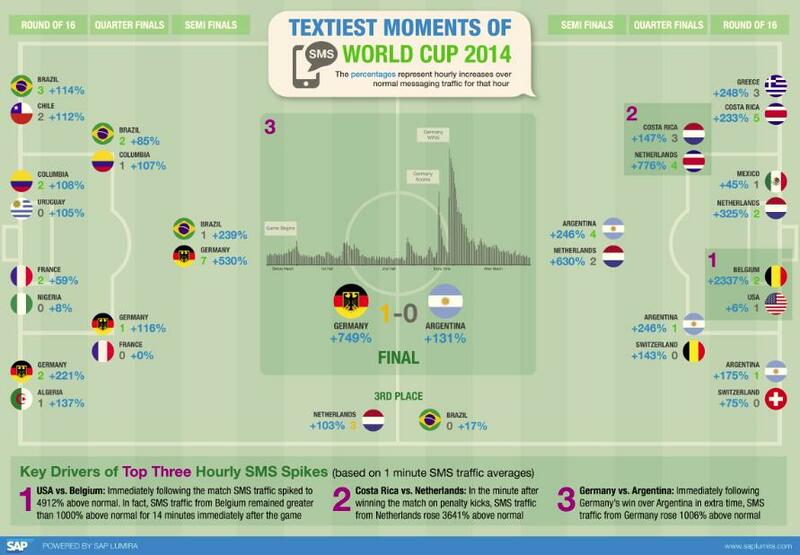 But the winner of Best Exploitation Of The World Cup By A Company Involved In Mobile is SAP, which generated the following infographic illustrating the spikes in SMS activity above normal for each country during every knockout game. The fact that SAP is a German company presumably had no bearing on the decision to make said graphic.